Tooth loss is common among American adults. According to the Centers for Disease Control and Prevention (CDC), about 1 in 5 adults age 65 and older have lost all of their teeth.1 Adults age 75 and older are twice as likely to have complete tooth loss as adults age 65-74. Missing teeth may cause you to feel less confident when you smile, and tooth loss makes it difficult to eat the full range of foods your body needs. Dentures and dental implants are two widely used tooth replacement options today. Both have their own advantages, which our experienced dentists would love to discuss with you. To arrange a consultation in Aurora, Colorado, please call Aspenwood Dental Associates and Colorado Dental Implant Center at 303-751-3321. Gum disease, cavities, injuries – these culprits are the primary causes of adult tooth loss. According to the American College of Prosthodontists, an estimated 178 million Americans are missing at least one tooth.2 They also say 40 million Americans are missing all of their teeth. 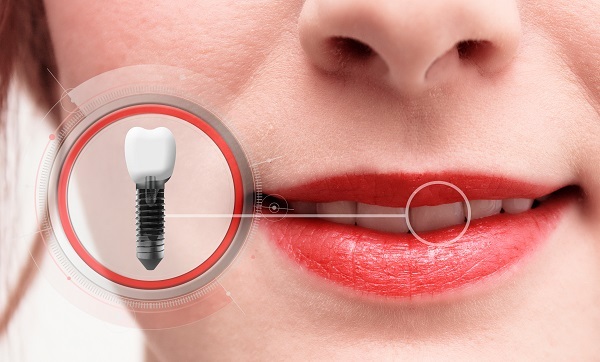 The American Academy of Implant Dentistry reports 3 million people currently have dental implants, and that number grows each year.3 Dental implants do not require any special care. You will brush, floss and visit the dentist to maintain your dental implants, just like you do with all your teeth. You may forget you have them at all because they look, feel and function just like your natural teeth. At Aspenwood Dental Associates, we design dentures to fit your mouth perfectly. Their fit is customized using impressions of your mouth and jaw. 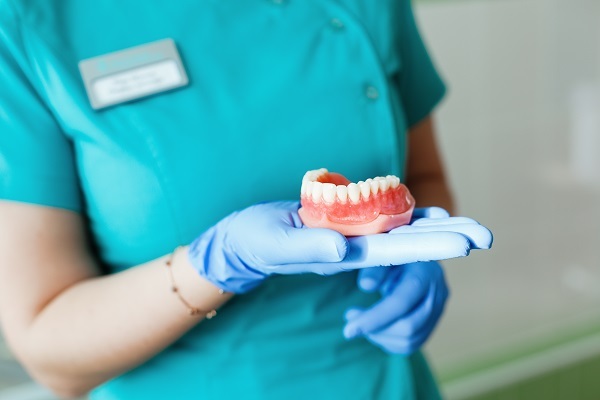 Once your dentures are made, our dentists can fine-tune the fit if necessary. With missing teeth gaps eliminated, you will be able to smile confidently once again. The dentures used at our practice create a youthful facial contour. As we age, our mid-face and cheeks lose fat beneath the skin, causing hollows and shadows. These dentures help to fill the mid-face, providing support where fat has naturally diminished. No matter how many teeth you are missing, our experienced dentists look forward to helping you restore your smile. During a consultation at our Aurora, CO, dental practice, the dentist will help you weigh your options, including dental implants and dentures. To arrange your visit at Aspenwood Dental Associates and Colorado Dental Implant Center, please call 303-751-3321.